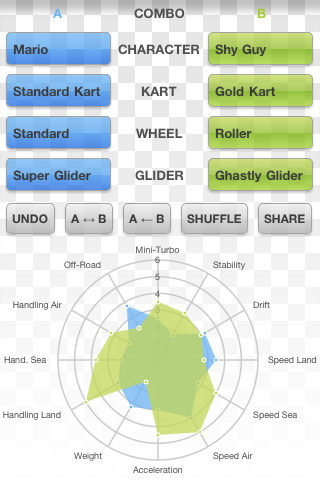 Easily compare two combinations of characters, karts, wheels and gliders from Mario Kart 7 for Nintendo 3DS. Overwhelmed by 20,230 possible combos? 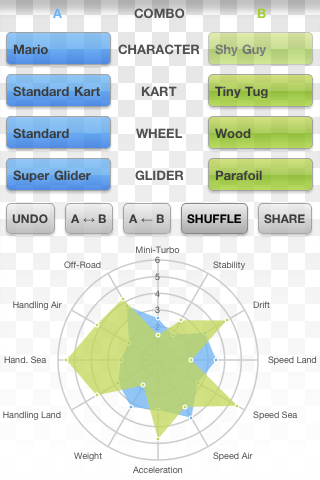 Looking for the right combo to suit your driving style? 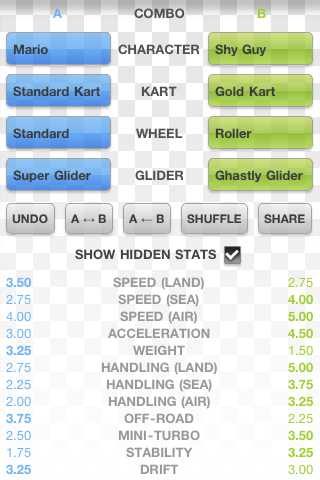 Trying to find the best combo to beat a time trial? 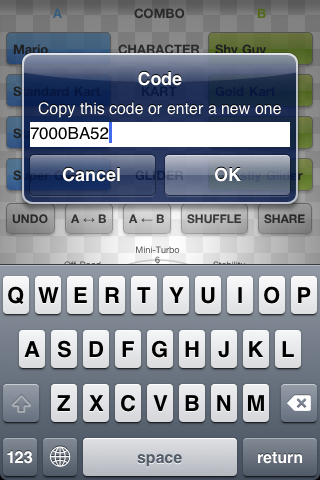 Region specific names for characters, karts and parts. Supports English (US), English (GB), Chinese, French, German, Italian, Japanese and Spanish. 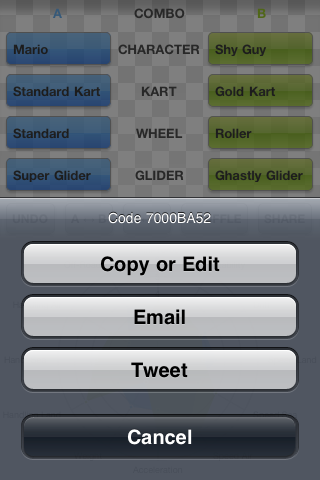 Combo Explorer for Mario Kart 7 © 2012, created by Matt Sephton. All trademarks and copyrights are the property of their respective owners. This site is not affilliated with Nintendo.